Please RSVP to newarkriverfront [at] gmail.com. 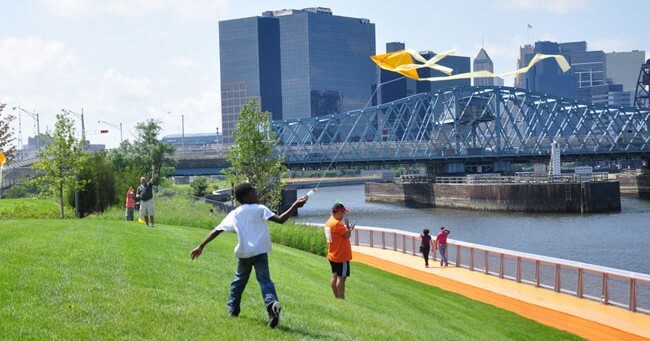 For decades, Newarkers have discussed visions of the waterfront, including a riverfront trail, new parks, and opportunities for development. (Some of the ways these benefits might be achieved are collected in the Riverfront Workbooks, available for download.) Following the first public meeting on October 13 and workshops in neighborhoods across the city, the project team will now present its draft proposal for discussion. 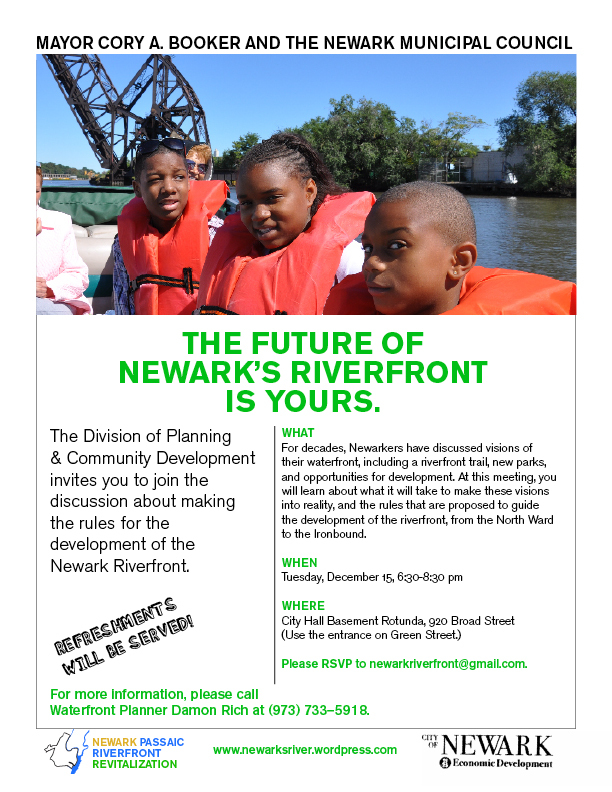 Please come and join the conversation about the future of the Newark riverfront. This entry was posted in Public Programs, Rules for Development on November 20, 2009 by newarkriverfront.